Oakland Hills Golf Course Bloomfield Hills, MI. Cheryl and her team from Tutto Interiors has done an exceptional job making our remodeled home into a beautiful retreat! Over the 2+ years of working together, I enjoyed working with Cheryl and learned a lot from her as well. Cheryl is very professional, and has keen eyes and tastes on designs. She understands her clients and in the meantime is very straightforward about her opinions. Her design tastes are among the top. She finds stunning "inspirational design ideas" out of nowhere and turn them into reality. All our friends are shocked to see how my home is transformed into this modern and sleek living space, yet still cozy and comfortable. She exceeded my expectation. We enjoy living in our new home and highly recommends Cheryl. 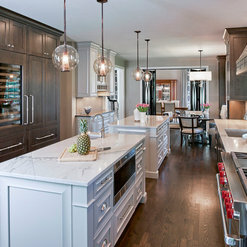 We would absolutely recommend Tutto Interiors to anyone looking for an interior designer. Cheryl had an excellent feel for both the style and taste we wanted. She also had a strong sense of proportion of or home. Cheryl had a good network of custom suppliers to get the exact look/design we desired. Our home looks worthy of being in a style magazine!! Just beautiful. i am so happy to be writing this review about our experience with Tutto Interiors. We were very fortunate to have found an interior designer that both myself & my husband enjoyed working with. Building a new home can be very exciting & stressful all at the same time! After viewing Tutto's website & meeting with Cheryl Nestro, we were confident that her knowledge & experience was exactly what we needed. Cheryl has an amazing sense of style & she totally brought our vision to life in our new home. We absolutely love every room, not only because of the look, but also for the comfort & functionality. Cheryl & her team are very professional, efficient & easy to work with. They worked within our budget without compromising on quality & style. Did I mention that we love, love, love our home & we consider Cheryl a dear friend after this experience. I would highly recommend Tutto Interior's for anyone building or renovating their home or office. We hired Tutto Interiors to help us with a complete overhaul of our kitchen and major first floor renovation. We could not be happier with the results! We have a stunning new kitchen, dining room, and foyer! 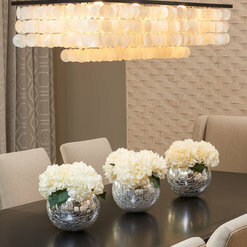 Cheryl and her team work seamlessly together for you to create stunning design choices. 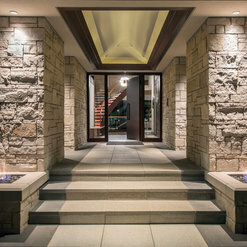 They are on top of every detail and keep the project moving forward in a timely manner. If I ever had a question or concern, I felt very comfortable reaching out to anyone on the team, and they would respond immediately. Cheryl stands behind her work as well. She took it upon herself to swap out a base on a table we ordered because the first one did not work perfectly in the space! We would recommend Tutto Interiors to anyone who wants unique, quality, exceptional design in their home! This review is long overdue but I cannot say enough about our experience working with Cheryl and her team. 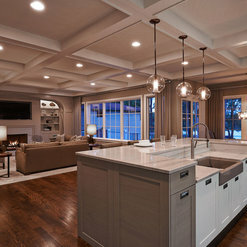 Over the course of 2 years Cheryl worked with my wife and I designing every square inch of the finishing for our newly built home in Oakland County. We were lucky enough to find Tutto interiors early in the design process and worked in two phases. Phase I consisted of picking the details of our construction including fixtures, faucets, toilets, paint colors, carpeting,kitchen cabinets/appliances hardwoods etc. During the first phase Cheryl was instrumental in helping our dream come to life. She has a sixth sense when it comes to design and was able to read our minds when choosing the appropriate textiles/styles etc. The process was seamless and given our busy schedules with children she was able to accomplish a myriad of selections without having us be present every week. As the project continued we entered phase II of the process which consisted of the finishing of our home including furniture/art work/lighting etc. Again this process was seamless and Cheryl had a way of creating a masterpiece which was highly tailored to our desire. In the end we cannot be happier about our choice to work with Tutto and recommend them to literally everyone. Once thing that I think is important to understand about Cheryl is she exceedingly fair when it comes to pricing. Never did I feel I was getting "taken" or she was overbilling. She told me the price of her services on day one and 2 years later stuck to that price even though she probably added countless hours of work to our project. She also is straightforward about pricing when it comes to furnishings. I gave her a number that I had in mind and she told me "fully doable" or "you will compromise quality". It gave me a sense of where I could cut things out in rooms that were less important to me and add things to highlighted rooms. My opinion is that she truly is an artist and runs an exceptional company from top to bottom. She is the best of the best and I interviewed over 6 designers. I offer Tutto my highest level of recommendation without any reservations and would be happy to discuss in more detail if anyone has any questions about the process we went through. Our home is our escape and not a person walks in and doesn't comment on how fantastic it turned out. Talk about a dream lower-level! 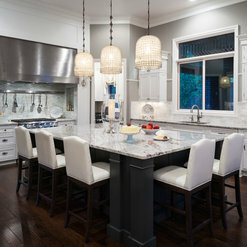 Cheryl of Tutto Interiors transformed a traditional space to a fresh, fabulous space which is an entertainer's dream! We had her renovate our entire home, and we couldn't be more thrilled with her creativity, style...and the fact that she gets to know her client's style so well. We highly recommend Tutto Interiors and Cheryl Nestro to anyone looking to furnish their new home, or to refurbish their current home and make it the home of their dreams! POSITIVE- PROFESSIONAL- A PLEASURE TO WORK WITH! Which is why we renovated our entire home with them--floor by floor! As a contractor, I love love love working on jobs for Cheryl. Everything is always perfectly orchestrated and my job becomes much easier. We get to be more creative because we are always pushed for something out of the ordinary.......very custom for the client. As a contractor, I love her selection of other contractors...all very talented and professional and because everyone does an impeccable job, everything she has planned comes together in the end. Cheryl is a gifted designer....you can see it in the process and the end result of every project she works on. Hickory Chair is honored to be a valued vendor of Tutto Interiors. We enjoy making special pieces for Cheryl and her clients. We appreciate the professionalism of Cheryl and her team. It has been a wonderful experience. This is my first negative review on any website but I feel compelled to warn other potential clients. I am very disappointed in Tutto Interiors. After charging me a fortune to partially design a master bathroom, she refused to proceed with the project when, after a competitive bidding process, I decided to use another contractor instead of her (very expensive) recommendation. She was furious when I told her that I would conduct the competitive bidding process for a job this size. Although she said that her contractor was independent, I find it hard to believe since he was over $30K higher than the next estimate for a job worth $75K. After I chose my contractor (who has done excellent work for us in the past), she refused to return my calls or emails, refused to work with my contractor, and, although I paid for much of the design, refused to provide her sources for the materials recommendations I had paid for in the design process. One wonders how "independent" her contractor really was. Finally after posting this review on Houzz, Tutto sent me some of the tile specs but none of the marble, lighting or fixture information. I had also purchased very expensive furniture through this firm as part of this project. Upon reflection, I should have waited to order the furniture (where designers make significant mark-up) until the bathroom project was complete. If designers want to require use of their own general contractors as a condition for the design, this should be clear upfront. So clients should beware of the huge markups when normal contractors work for a designer’s “general contractor” who works for the designer. Lots of profit markups which is the reason for the significant disparity in the quotes above. And designers, when you wish to fire a customer, have the courtesy of calling them directly to say you don’t want to continue with the project. This experience with Tutto was very disappointing. Tutto Interiors was retained on this project on an hourly basis to design the renovation of the client’s master bathroom. We worked through some very challenging design issues for the space and came up with a perfect design solution, which the client loved. Per our written design contract, Tutto Interiors invoiced this client for time spent on this design project, and resulting fees that we earned ($1,350.00). 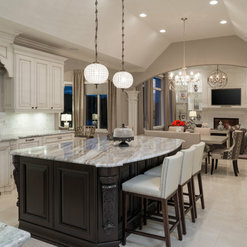 We are a design firm only, and thus our clients must hire the cabinet company directly (for final drawings and cabinetry products), as well as a general contractor (to oversee the construction work). Our firm’s practice is to ensure that the client is getting all that they hope for in the design project. We create the best concepts and solutions for the space and work with a custom cabinet company for the product execution. After final plans for the cabinetry were approved by the client in writing, and with custom cabinets in production, the client needed a general contractor (GC) to manage the major preparation for the space. The client requested a recommendation for an experienced and reputable GC with whom we have worked on other projects. We recommended an exceptional GC who attended a client meeting to meet the client and quote the construction project. Tutto Interiors surrounds itself with the best possible contractors. We always recommend contractors who are capable of ensuring the best possible construction work. We have no monetary interest whatsoever in a contractor quote. We receive no financial benefit from a contractor to whom we refer a client. In fact, clients are never obligated to use any of our recommended contractors, and we always suggest that they consider using any contractor who has earned their trust in the past. This particular client was unhappy with the price quoted by the general contractor whom we recommended. So the client informed us that she would be hiring a different contractor. We, of course, had not issue with this, and encouraged the client to seek at least one alternative price quote and to feel free hiring whomever she wanted for the construction project. At this point in the design project, the client turned very unprofessional, and even hostile toward our firm. Thus, after hearing nothing more from the client for over 1.5 months, including no phone calls and no emails, we closed out our file based upon the last communication from the client in which she indicated that she would hire her own contractor and complete the project on her own. When we were contacted by the client almost 2 months later with her request for our tile specifications, we immediately assured her that we would forward the requested specifications. Tutto Interiors holds the highest esteem for each project and we do our very best to maintain the highest of standards, to create the most inspired designs, and to provide the best service to each and every client. We wish the very best to Mrs. Ligocki and hope her project is a success. Tutto Interiors answered a question: who makes this table? Commented: who makes this table?Thank you for the compliment. The table noted is from one of our manufacturer's that is to the trade only. Commented: Can you please tell me who the cabinet manufacturer is?The cabinets are manufactured by Millennium Cabinetry 248-645-9005. We use Millennium for many of our projects. They are a 1st class. Commented: hello! beautiful space!I do not have the actual wall color any longer to this project. The color is in the light grey family and is a flat paint.